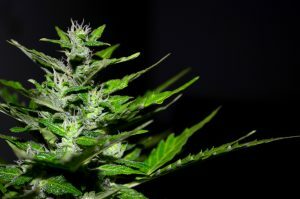 The most definitive characteristic of light deprivation cannabis growing is the artificial simulation of the 12 hour and 12 hour light/dark photoperiods. Therefore, in light deprivation cultivators seek to mimic the photoperiods of the late summer and early fall. 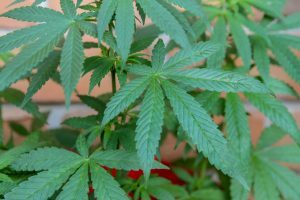 These conditions “trigger” certain types of plants to produce flowers. This idea of artificially induced flower periods represents a major confluence of the outdoor and growing schools within light deprivation. However, indoor cannabis growers have timers that simulate night and day in a grow room. Conversely, light deprivation growers must devise other means to “black-out” the sunlight in the requisite 12 hour period. As a result, light deprivation enthusiasts must devise “tarp” systems that cover the entire canopy and exterior of their cannabis gardens. This tarp acts to block all sunlight in the simulation of nighttime conditions. All light deprivation cannabis crops require an exterior frame which supports a tarp system. This notion applies no matter how sophisticated cultivators wish to make their operations. There are generally 3 routes one can take in the creation of a framework: wood frames, hoop-houses, and greenhouses. in the ground at the ends of gardens. These wooden posts have heavy cables which support the tarp and allow for it to easily slide over the canopy of the garden. Greenhouses: Greenhouse kits and frames make excellent support over which to pull black-out tarps. Greenhouses also provide growers more environmental controls than seen with wood frames and hoop-houses. The sort of tarp pulling system one chooses for a light deprivation cannabis growing operation will prove quite important. Because, the tarp will have to be pulled over the entire canopy of the garden twice a day for an entire 55-70 day flower cycle. Therefore, light deprivation cultivators have to be present twice a day for two months solid to ensure this task is complete. 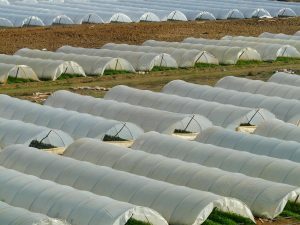 In the novice operation, as seen with wood frames and hoop-houses, it’s often possible to simply pull the tarp over the frame by hand or with the aid of ropes. To aid in this process, growers also devise pulley systems mounted on trees and wood poles to help with getting a tarp over a large or tall frame system. Finally, greenhouse companies have designed a number of more automated, less labor intensive systems which black-out daylight. These automated systems include motorized tarp pulley systems as well as large “blinds” which fold over on one another to create a completely dark environment. Cannabis growers often utilize cultivation technology like intake and outtake fans to ensure a steady exchange of air at night. When choosing the size of inline fans for intakes and outtakes, one should use similar considerations as seen with indoor growing. To illustrate, these fans should be able to completely exchange the air in a garden in 5 minutes or less. Depending on the size and the structure of a garden, intakes and outtakes can be mounted on the framing system. They can simply be placed on the ground. However, in order for air to move efficiently it’s essential that the ducting connected to these fans is long enough so that the ends are not covered by tarp when it is pulled over the frame. This article originally appeared in the March 2017 issue of Maximum Yield Magazine.